One of the greatest accompaniments to your wardrobe is the leather jacket (you can see how to style a leather jacket in Winter here). The timeless classic is your go to piece when you just can’t fathom what else to wear that day. Easily teamed with the majority of items in your collection, whether it be dressed up for those special occasions or down and grungy for a festival. Your trusty leather jacket can see you through many years to come! Leather jackets are famed for their toughness and hard wearing, and to some extent this is true, after all bikers wear them for a reason! However, they do need some looking after, particularly soft leather, such as the luxurious lamb leather popular with the designer fashion houses, much like these Rick Owen’s leather jackets, these need extra care and attention to ensure longevity. 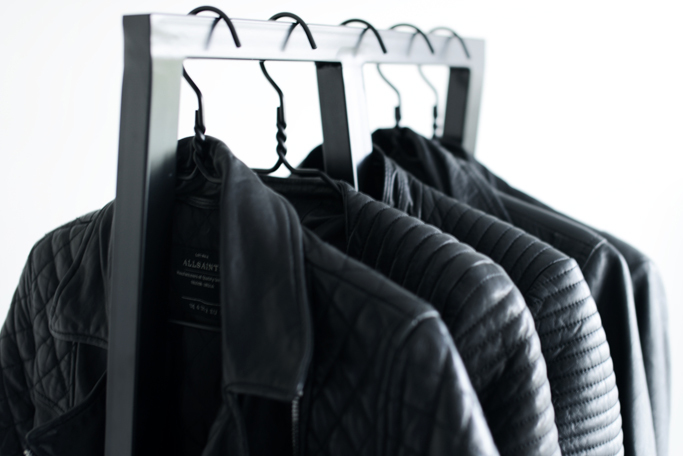 Below we list a few do’s and don’ts for keeping your leather jackets as good as new. One such everyday danger can be water, something you’d expect leather to throw off without such thought. 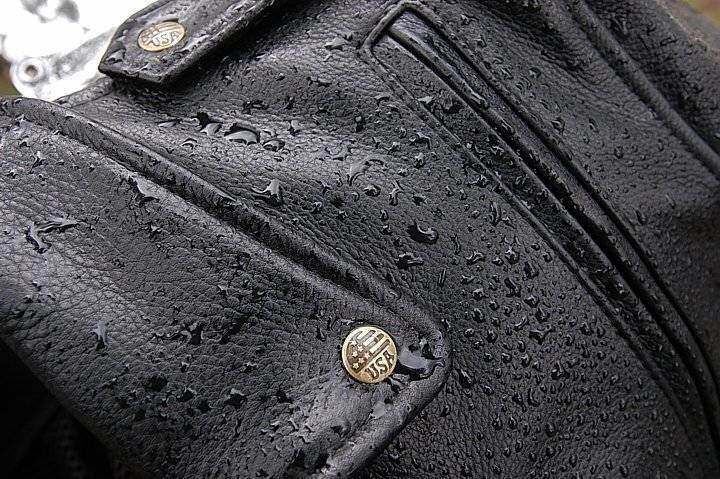 From my own personal experience, rain can be exceptionally dangerous to lamb leather. I was caught out in a really unexpected heavy downpour, it wasn’t till I was home that I saw the extensive damage to my beloved jacket. Down the one side the leather had gone all misshaped, as it dried further it became hard and bumpy where the rain had hit it hardest, effectively ruining the smooth look of the coat, it was with a heavy heart banished to the back of the wardrobe. Since then I’ve been sure to keep my leathers away from intense amounts of water. If your jacket has been out in the rain, you need to act pretty fast. Using a lint free cloth, dab gently at the water, allowing the cloth to soak it up. Do not rub or wipe away the water, this can force the water into the leather. Once done, hang it up, allowing it to settle and the remainder to dry naturally. Absolutely do not apply any heat source to the areas in order to speed up the drying process! This can cause the leather to crack in places or at worse, even shrink! Usually darker colours such as blacks and browns are less susceptible, but nevertheless care should be taken. If the water spots have already begun to dry, they can be unsightly and leave very noticeable marks. Not all is lost and there are some methods to still remove them from your leather jacket. Grab your trusty lint free cloth, dampen it slightly, proceed to lightly brush the surface of the leather from the stains to the seams of the jacket. This will allow the stain to come out evenly, finally return to the area with a completely dry cloth and soak any excess water away. If this fails, you can attempt to use a leather cleaner. Test a tiny section of you jacket, add a tiny amount to an unseen section, allow it to dry and see if there is any unwanted reaction such as discoloration or marking. If there is none, you are good to go, wipe the stained area with a small amount of the cleaner, less is more, taking extra care to wipe away any excess residue. Once finished, allow your jacket to dry and settle overnight. If all has gone well, those pesky dry spot stains should be gone. Removing dirt from your leather jacket can be tricky. Firstly just attempt to gently brush away the dirt with a soft and clean cloth. Do not scrub at it heavily, slow and sure is the best method for success. Refrain from using water, as earlier discussed, water is an enemy of lamb leather as you will risk water staining. If there are multiple areas of dirt, it’s best to be safe than sorry and have a professional clean it. You don’t want to make it worse. Due to the delicate nature of soft leather, designer leather jackets need that extra protection. Conditioning is one such armament you can use, helping to keep it soft and supple and helping protect against drying out and even cracking! Make sure to only use high quality conditioner though which is suitable for the most delicate of leathers. Firstly before applying, make sure to test on a hidden part of the jacket, to see if it has any negative affect, such as a darkening of the leather. Use only a small amount and work it gently in a circular motion giving a thin covering. Leave it hanging overnight to ensure it is completely dry and then enjoy your extra protected jacket in the morning. 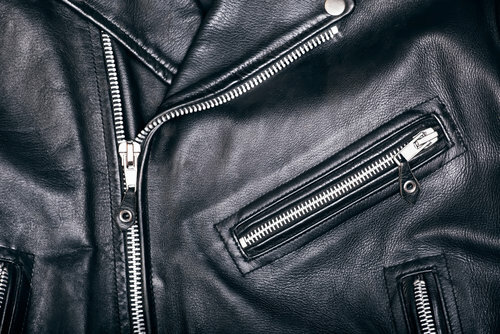 After all the previous tips of looking after your leather jacket, you don’t just then want to throw it at the bottom of your wardrobe all screwed up, even while folded it will cause problems and creases across the leather. Make sure to hang it up, preferably not squashed amongst all your other coats. Use a heavy well structured hanger, not those cheap wired ones that will bend causing your jacket to go out of shape. Keep it out of direct sunlight to ensure it doesn’t fade. Do not use a plastic bag covering as they can cause the leather to dry out. Keep it in a cool and dry place, hot and warm is not ideal and it will cause moisture to build up. – Hopefully with these tips, Fashion Runway Blog has given you some ideas on how to prevent damage and look after your wonderful designer leather jacket for many seasons to come. There are great design. Please visit my Textile Motorcycle Jackets. Its my new design. Thank you sharing these immensely helpful tips on the proper care of leather jackets. Leather requires high maintenance and constant care. It is important that we take care of our leather clothings for longer use. I gained a lot of useful information after reading this post. Please keep on sharing more helpful tips and suggestions. Looking forward to the next post.